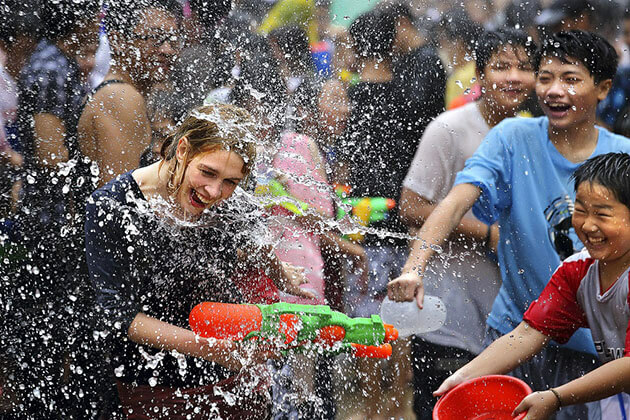 There will be two things you want to avoid in Myanmar tours: the intense hot and intense rain. Myanmar features three different types of weather, the months from February to May is the hottest and driest time of the year. During this time, temperatures can reach up to 40 degrees Celsius, however, it can be found in the highland areas the cooler temperatures. May to October is the time of monsoon season while drier and temperate weather usually runs from October to February (peak tourist season). However, Myanmar is still great to visit at any time during the year. Myanmar weather is relatively straightforward in comparison with other countries in South-East Asia. There are two distinct seasons: the dry season runs from October to May while the wet season lasts from May to early October, the climate at the peak of the wet season is unpredictable in some regions of Myanmar. Each season has its own characteristics. The months from March to June are considered as the hottest months of the year as the temperature can reach 40°C to 43°C. October marks the end of rainy season in Myanmar, witness the considerable fall of temperature and rainfall. The pleasant weather prevails throughout the country, the mountainous and highland areas may meet the much cooler. The flatlands surrounding Bagan and Mandalay are driest regions of the country when avoiding heavy rains all the way through to August. In addition, Myanmar climate is significantly influenced by altitude when highland areas experience cooler temperature compared to regions in the south, west and lower center. 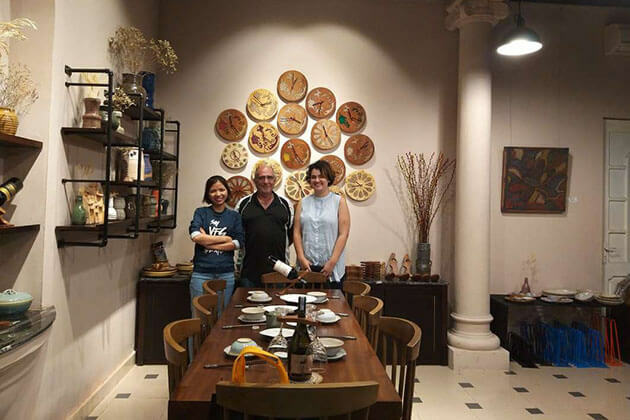 The best time to travel to Myanmar is from November to February when the climate is mild and less rain; however, this is also the peak season in Myanmar as picking up accommodation may become more difficult. Thus, many experienced tourists prefer mid-season as the weather is still pleasant during all months of the year. 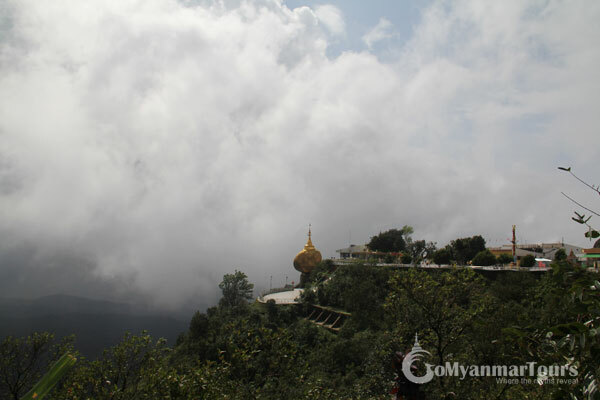 Particularly, you may meet the cool weather all year round when visiting the Mount Kyaiktiyo (Golden Rock), the temperature ranges around 15°C to 20°C. The rainy, cloudy and foggy weather may prevail the mountain sometimes. With the hottest period of the year, it is highly recommended taking a jumper or fleece in the evening when the weather tends to be cooler than daytime. Yangon (Rangoon) has a tropical monsoon climate with wet summers because of the southwest monsoon, which begins from mid-May and lasts until mid-October. Temperatures can increase significantly in winter to an average of nearly 37 ℃ in the hottest month, April. • During the months of January, July, August, and September, you will experience pleasant weather with good average temperatures. • Many rainy months fall in the months of May, June, July, August, September, and October. • Dry season of Yangon is during January, February, March, April, and December. • August is the wettest month. Avoid this month if you do not like too much rain. • February is the driest month. 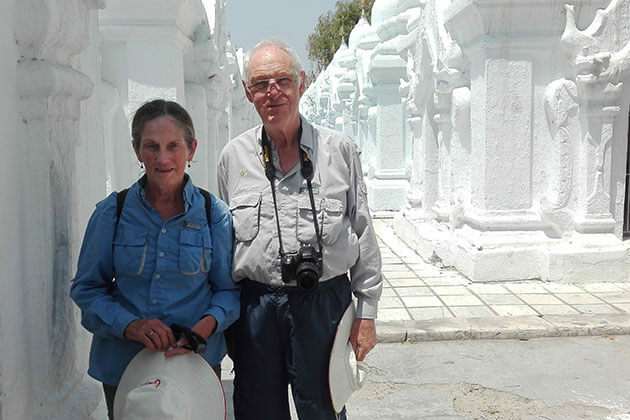 Mandalay has a temperate wet and dry climate with a distinct dry season in the low-sun months, with no cold season and wet season in the high-sun months. Mandalay is located in or near the very dry tropical forest habitat. The average temperature in Mandalay is 27 ℃. 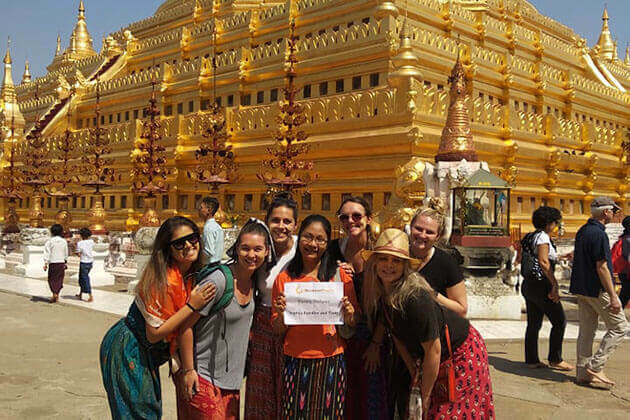 When is the best time to go to Mandalay in Myanmar (Burma)? • During the months of January, November, and December, you will experience pleasant weather with a good average temperature. • On average, the temperature is always high. • Most rainfall (rainy season) is often seen in May, June, August, September, and October. 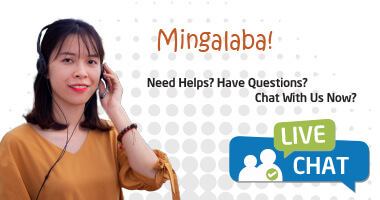 • Mandalay has dry periods in January, February, March, and December. • On average, the warmest month is April and the coolest is January. • October is the wettest month. This month should be avoided if you do not like too much rain. • March is the driest month. Weather in Inle Lake is affected by dry weather, wet summer climate. Dry summer climate, wet winter, and wet summer are characterized by moderately warm and dry winter. Precipitation during the driest season of winter is less than one-tenth of the rainfall of the most humid summer month. By far, the warmest months are April, March, and May at Lake Inle. Temperature range is from 35 ℃ to 38 ℃. April is usually the hottest month with an average temperature of 38 ℃. The coldest month is December with a temperature of 29 ℃ and with an average rainfall of 27 mm. The other cold months are January, November, and August. 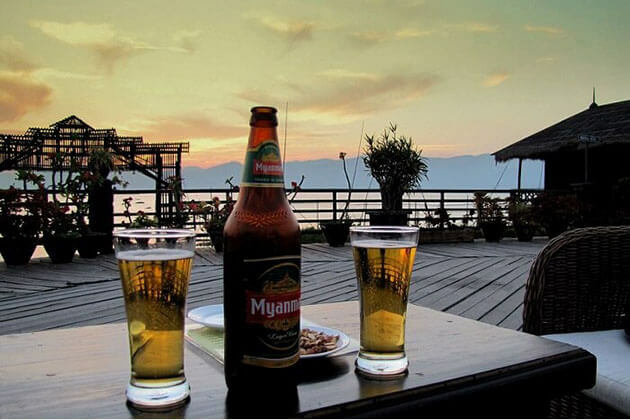 So when is the best time to visit Inle Lake? The weather around Inle Lake is quite pleasant all year round so you can visit at any times but it can be cold at night from December to February so avoid these months if you hate the cold. 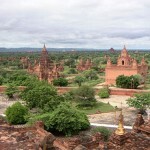 Bagan climate is relatively predictable with seasons changing each year at nearly the same time. It mainly depends on the wind direction blowing in the summer monsoon rains from the South-West beginning in May and lasting until September. Although these months have the most rain, they seldom rain all day but fall like a downpour that chills the air and sends guests hastily running for cover until the squall passes. From March to May, temperatures and humidity begin to increase significantly, and in May, late afternoon rain will become a regular occurrence. In the tropics, the temperature is relatively high throughout the year and mercury can fluctuate up to 40 ℃ in March and April with high humidity reaching 80% in the afternoon which means drinking water throughout the day is very necessary to avoid dehydration. So, the best time to visit Bagan is from November to February because the coldest months are from November to February when the North-East monsoon brings lovely dry days with little or no cloud and very little or no rain. During this period of the year, the humidity is much lower helping traveling around the temples become a more enjoyable experience although there are more tourists at this time of year and also more dust stirred up if windy. Like the previous month, the dry weather keeps going throughout the month of January, with great conditions expected throughout Myanmar. January is peak season, as temperatures gradually begin to rise and the whole country expects excellent traveling conditions. In the south and along the west coast, the beaches will be full of sunshine. The central plains will also be dry and hot although more manageable than in the months to come. 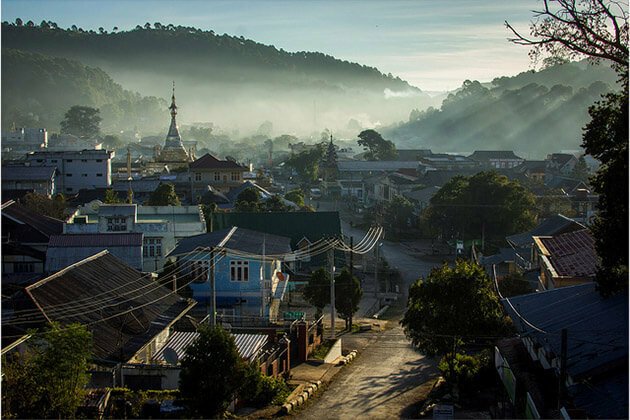 While the chill in the foothills, the Shan State and around Inle Lake starts to decline during the day, the temperature tends to fall in the evenings and early morning, so it’s worth bringing a jumper or fleece jacket. Rainfall of any sort is hard to happen and temperatures in the lowlands are likely to reach into the high 20’s°C and even the eastern and northern highlands will reach 25°C although evenings are still likely to be quite chilly. Rain will be hard to happen throughout the month, therefore, the chilly winter fell in the highlands now is something in the past. Tourists can expect excellent traveling conditions across the country. In the south and along the west coast, the beaches will be considerably exposed in the sunshine. The central plains will also be dry and hot although it will be more comfortable next month. Whereas the chill has been lifted off the foothills, Shan region and around Inle Lake, the temperature can still be a little cooler in the evenings, so it’s worth packing a jumper. Temperatures in the lowlands average highs of 32°C and even the eastern and northern highlands will be in the high 20°C. In these parts, the evenings can still be a little chilly. 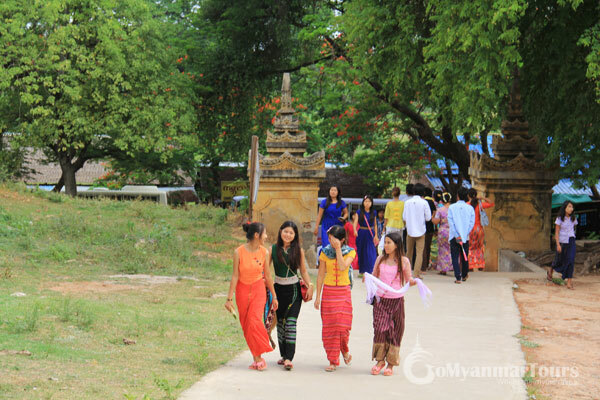 Arguably March is the best time of the year to visit Myanmar with excellent weather condition. However, the high season also means that overcapacity may happen. It is recommended to book the accommodation in advance before setting your Myanmar vacation. In March, the chilly winter feels in highlands nows a distant memory with no rain expected; you can expect excellent weather across the country. In the south and along the west coast, the beaches will be basking in sunshine, whilst the chill has been lifted off foothills and Shan region. The central plains will also be dry and hot although more manageable than in the months to come. Temperatures in the low-lands average highs of 35°C and even the eastern and northern highlands will be in the low 30’s°C. April arrived and things really start heating up as the mercury starts to climb towards some of the highest temperatures of the year. 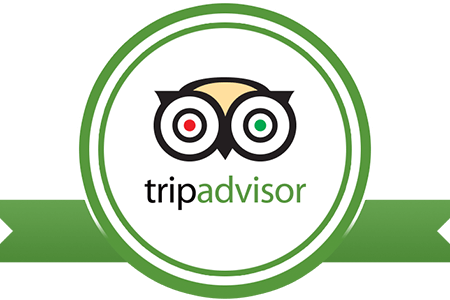 Visitor numbers are still at their highest and therefore it is advisable to book the hotel early to avoid disappointment. In the south and along the west coast be sure to have packed your suncream products as the beaches will be basking in sunshine with temperatures climbing as high as 36°C. In central lowland regions, you can expect average highs either side of 40°C whilst even the highlands are expected to be well on their way to the mid-30’s°C. Compared with the weather in April, the weather in May still remains very hot as the mercury reports sometimes inaccurate figures at times. The number of visitors starts to fall making this month a very compromising time of year to visit for any worshippers. Temperature has a tendency to start to lessen a little toward at the end of the month (monthly range from 32-38°C) and in reality, this is most welcome. The heavy rains are just around the corner so you can expect showers in many parts and it is likely, again towards the end of the month, that a breeze will pick up, helping to cool the land. The weather in the central plains to the south of Mandalay do not fall with the rest of the country, remaining hot and dry and even reach the 40 °C. The beaches remain hot and dry although the high season comes to an end in May, with resorts are in preparation for the less favorable weather in the coming months. The weather in June witness the significant change when the south-west monsoon star blowing and bringing cooler temperature and more rainfall. However, in reality, it is quite a pleasant time to travel as the weather can be relatively dry and the high temperature of previous months no longer happens. Showers have the tendency to be relatively short-lived, increasing in intensity as we head towards July. Nevertheless, the weather in the central plains to the south of Mandalay is still hot and dry, with the temperatures still in the low to mid 30’s°C. Elsewhere the mercury tends to hover around 30°C, so still far from chilly! Most of the beach resorts will be closed by mid-June as they prepare for the less favorable weather expected in the coming months. July is perhaps the month of rainfall with heavy rains expected throughout the country due to the fierce intensity of south-western monsoon. Temperatures remain high across the country (averaging highs of 27 – 30°C), however, rainfall is also high. The beaches on the west and southern coast are now closed and road travel across much of the country tend to be difficult, in many cases impossible. The central plains to the south of Mandalay remaining the hottest and driest region of the country, with temperatures still in the low to mid 30’s°C and rainfall relatively minimal. Can you still visit Myanmar in July – yes certainly! Are there better months to visit – yes certainly! In similarity, the rainy weather still remains in July, although rainfall will begin to fall at the end of the month. Nevertheless, coming to Myanmar this time, you should expect any heavy rains. Your Myanmar trip will be best if you bring along umbrella or raincoat. Temperatures remain high (averaging highs of 27 – 30°C) and the beaches on the west and southern coast stop working and road travel across much of the country becomes difficult, in many cases impossible. Can you still travel to Myanmar in August – yes, just! Are there better months to visit –absolutely! The weather in September witnesses another change when the rainfall begins to significantly decline, the temperatures remain in the high 20 and even early 30 °C. The number of visitors substantially fall and much of the country is hard to reach because road and beach resorts remain closed. The central plains to the south of Mandalay are once again the hottest and driest region of the country, with temperatures in the low 30’s°C and minimal rainfall. Nevertheless, the weather may deliver better condition in the second half of the month. Rainfall and temperatures will continue to fall as October approaches. Myanmar once again opens some attractions especially beaches because of the considerable decline of rainfall. In spite of the coolest month of the year, temperatures throughout the month still remain in the high 20’s and even early 30’s°C. The central plains to the south of Mandalay are once again the hottest and driest region of the country, with temperatures in the low 30’s°C and minimal rainfall. Overall, October is a relatively good time to visit Myanmar with the high chance of good weather and surprisingly, low tourist number. Finally, the rainy season is coming to an end for many tourists November is the great time of year to visit Myanmar. Despite this, the number of visitors is still relatively low and the temperatures more moderate than the early half of the year, however still expect average high’s of up to 31°C across much of the country. The south and west coast beaches are basked under the sunshine; Thus, they are fully opened and expected to welcome the huge number of guests for the upcoming months. No longer does the rainy weather happen in December instead it becomes more comfortable? Rainfall is unlikely and despite being one of the coolest months of the year, you can still expect average high’s of up to 31°C across much of the country. In the highlands and foothills of the east, the average temperature is 24°C so appropriate clothing is required, especially at night. 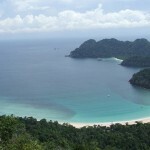 Coming to Myanmar this time, beaches are something you may not miss. They are full of sunshine and you can expect a high quality of service. Besides, if your dates are flexible, avoid the Christmas and NY dates to avoid peak season surcharges.